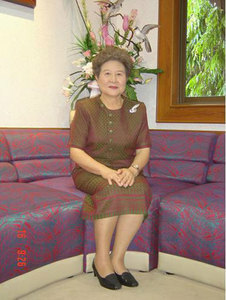 Sopa Lohakachornpan was born in 1948 in Nakornsri Thammarat, southern Thailand . She was the sixth of 9 children, and her parents were loving and compassionate. These seeds of good parenting and a happy home environment instilled in Sopa Lohakachornpan a respect for education. She worked diligently and earned her B.A. and M.A. in Education abroad in the Philippines at Arellano University in 1970 and 1972 respectively. Then she returned home to Thailand to embark on a career in vocational education at the Vocational College of Konkhan under the Thai Ministry of Education. Her entrepreneurial talents ripened and in 1984 she founded her own vocational college: S. TECH in Thung Song, Nakornsri Thammarat. Her college received “Excellence in Vocational Education Awards” in 1994 and 1999 by Her Royal Highness the Princess of Thailand, Somdet Prateap Rattana Rajasuda Siamborom Rajagumari. Her quest for excellence in education inspired her to continue, and in 2001 she opened a Bachelor of Arts higher-educational institution, Southern College of Technology, which has 5 faculties and 12 fields of study to prepare Thailand ’s future leaders. By 2006 she intends for SCT to become a University with increased faculties and fields of study. She serves as the Vice-President of Administration and emphasizes: good practical skills, solid knowledge, and strong moral values in her students and staff. Next, Sopa Lohakachornpan watered the good seeds from her youth and opened a nursery – high school, named Tantiwatra School in 2004, which is progressive and uses a child-centered learning approach. The motto of children at Tantiwatra School is to strive to be: a good person, a bright person, a brave person and a lovely person.